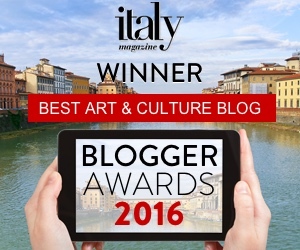 Tuscany’s seaside is not just for the hottest days of summer. Gorgeous views, great fish and fresh air make coastal areas like Monte Argentario in Maremma a perfect off-season destination. Prices go down, the masses disappear, and you have all this to yourself. Recently I had the chance to explore the Argentario, one of the most exclusive areas of Tuscany, and I wonder why I had not been there yet! Populated primarily by VIP resorts, once you get a taste of the extreme beauty here you’ll see why it’s such a desirable location. 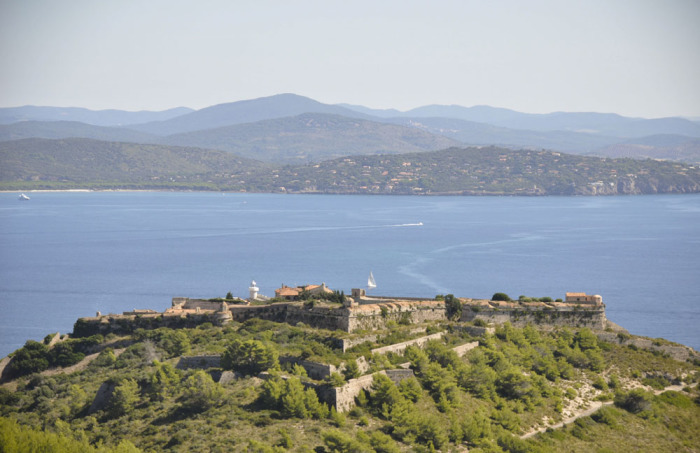 I visited Forte Stella, above Porto Ercole, upon the recommendation of Elisa on her blog Maremma Tuscany. This is when I realized the extent of the beauty of this area. It truly cannot be captured by photos. 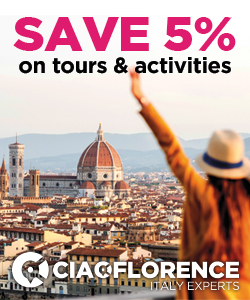 The fort itself was built in 1552 by the Sienese, allied with the French, to defend the strategic port from the Florentines, who had allied with the Spanish. In addition to Forte Stella they built 5 other forts on the hilltops around this town, three of which remain, but this is the only one that is open to the public. 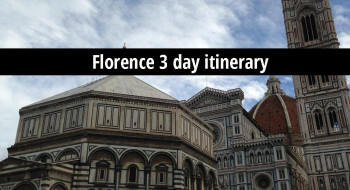 This was a massive investment on the part of the unfortunate Sienese, who lost the whole area to Florence and the Medici Grande Duke of Tuscany in 1555. The original nucleus of the fort was later surrounded by star-shaped external walls designed by Medici architect Buontalenti upon Spanish commission in 1558, though completed over the following century. The view from Forte Stella is enough to make you want to jump into that sparking turquoise water. If it’s warm enough, you may do so – there are plenty of beach entries that you can see on the drive down. If it’s not hot out, you can still go for a beautiful bike ride and enjoy a beach with nobody else on it. 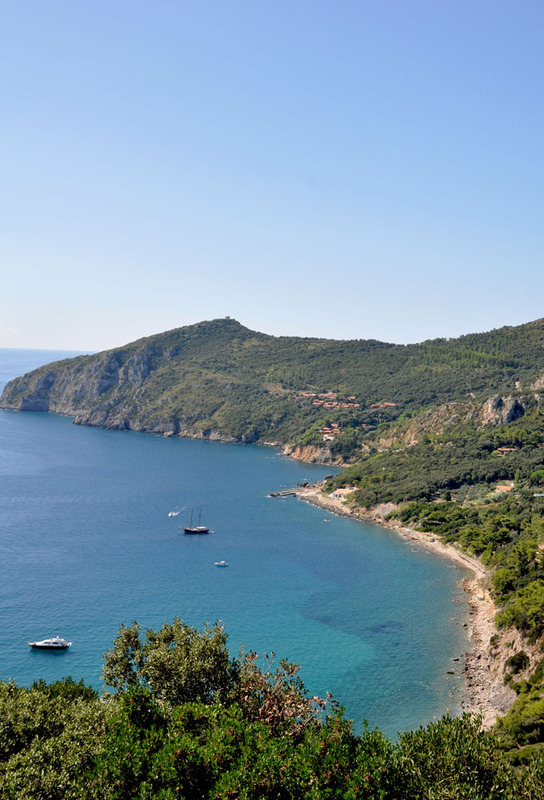 From Orbetello, follow the road to Feniglia, the beach on the outer bay of the southernmost strip of land that connects Argentario to the mainland. After a few meters you’ll be forced to park – there are two large lots – and from here, you can rent a bike and go into the protected nature reserve. If you love bikes as much as I do, you’ll be dismayed to know that the uneven grounded path is a whole 7km long. If you can make it that far alive, at the end of the path there are some very tame and adorable deer. Then you have to bike all the way back. If you fear for your life when you are on two wheels, there are entrances to the beach every few kilometers. I proudly biked 3km each way. The beach is totally worth it (it’d be hell, I think, in the heat of summer). This area is pretty proud of a macabre fact. 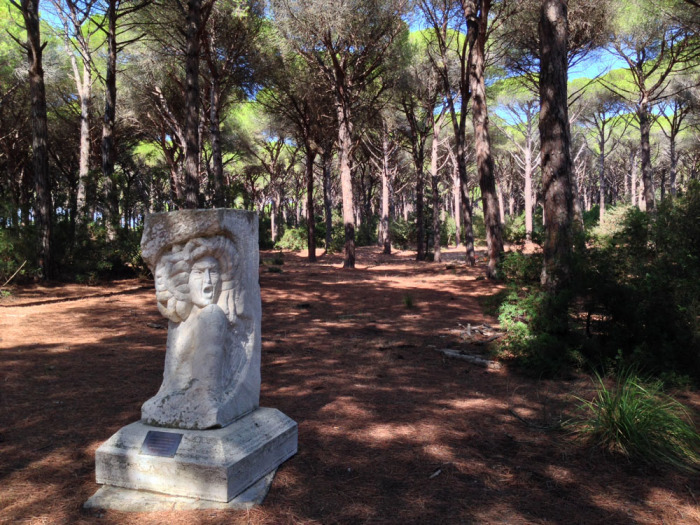 It seems that Caravaggio breathed his dying breaths in Porto Ercole, though for years people thought he washed up on the very beach I visited at Feniglia, where a memorial stone is dedicated to him. However, in 2001, historians found a record of the painter’s death in a parish archive: “A dì. 18 luglio 1609 nel ospitale di S. Maria Ausiliatrice morse Michel Angelo Merisi da Caravaggio dipintore per malattia”. The delinquent artist’s presumed bones are now on display in Porto Ercole in a modern mausoleum presented in July 2014 (the “Parco Monumentale Funerario Caravaggio”). Discovered in 2010 after rummaging through about 200 skeletons at the church of Porto Ercole, the bones were subjected to scientific analysis – first carbon dating, which found them to correspond with his death date of 1610, then DNA matching to heirs with the last name Merisi. Analysis also found a high level of mercury compatible with the activity of painter at that time. Those in favour say the match is 85% sure, but the discovery remains highly contested. 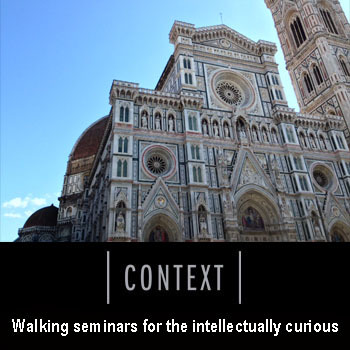 Two port cities – Porto Ercole and Porto Santo Stefano – are close by. Driving between them on the famous “strada panoramica” is fun in itself. Both towns are great photo opportunities for boat-lovers, and both have very good fish restaurants, since they are real, working ports! 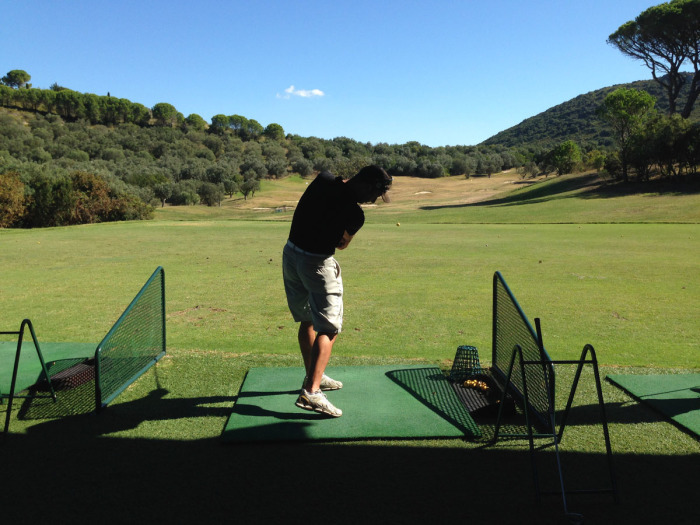 I tried out the driving range at Golf Club Argentario and had a blast. Buckets of balls cost only 2 euros and access to the driving range costs 15€. If you’re starting out, the green here is challenging – you might try the inexpensive practise green at Maremma Golf Club in Grosseto. On the other hand, if you’re eager to learn, there are great beginner packages available and international-quality instruction. 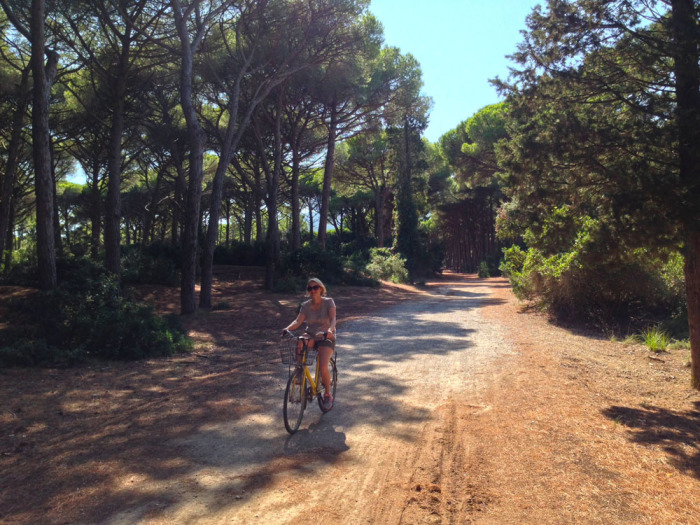 One downside to Maremma is that the focus on the outdoors makes for few rainy-day options. 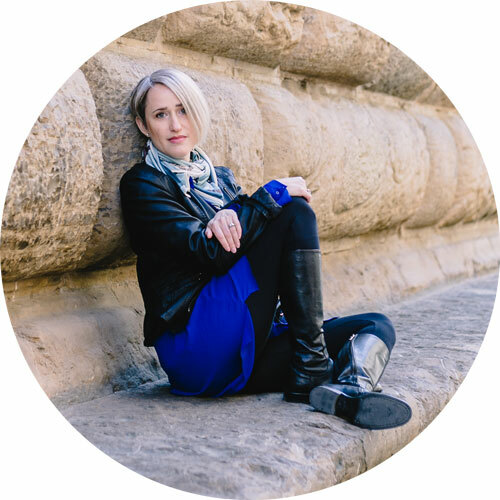 Personally I really enjoy listening to the rain or watching it fall on trees outside my window while reading fiction all day, but if you’re more restless, rainy days here can get old. If you’re staying somewhere that has a spa, like the impressive one at Argentario Resort, now would be the right time to test its services. Other than the usual menu of spa services like massages and facials, this resort has an indoor-outdoor saline pool as well as numerous kiddie pools. 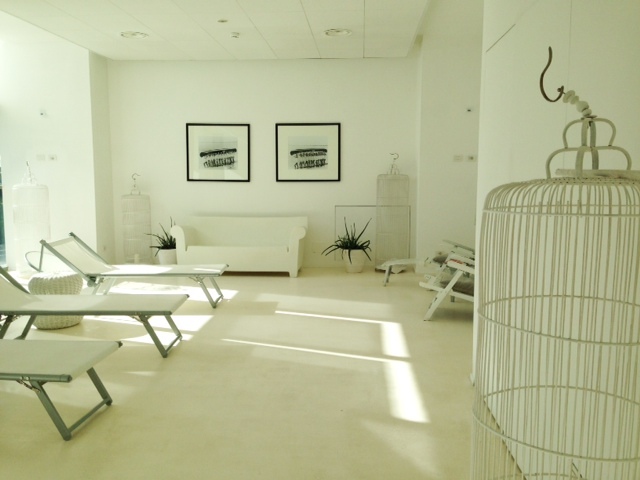 The light-infused and warm relax area has a herbal tea bar and soothing music. Maremma is a vast area of Tuscany. Argentario is located in the southernmost part, and if you drive just a few kilometres south you’re in the region of Lazio. 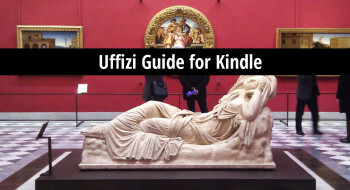 My usual haunting grounds are a bit further up in Maremma – if you’re looking for things to do in the larger area, see “15 things to do in Maremma on a budget” and “5 archaeology sites in Maremma” as well as other articles. 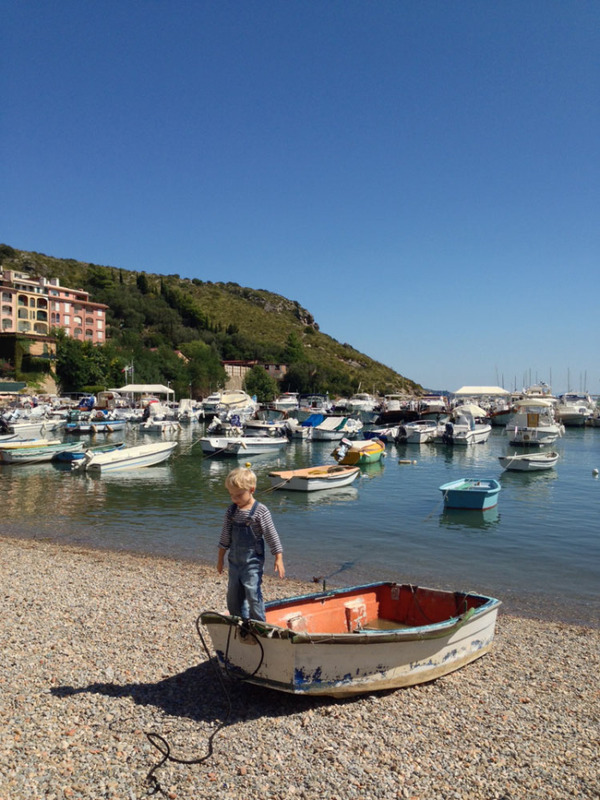 Closer to Argentario but on the mainland, here are some ideas of things to do. 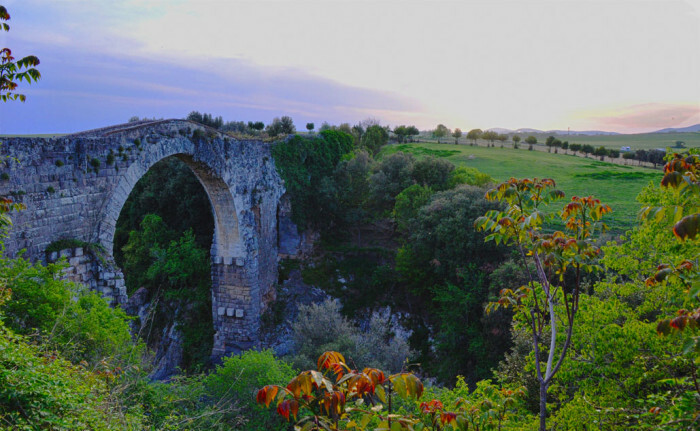 The closest archaeological site to Argentario itself is Cosa, a place I’ve been hoping to go to for some time simply because it has a funny name – “cosa” means “thing” in Italian. The strategic Roman port city was founded in 273 BCE. Unfortunately I didn’t have time to visit it on this trip. A bit further down and a few minutes’ drive inland you get to Vulci, another archaeological site about which you can read more here. While staying at Argentario Resort they suggested we visit the winery and have lunch at Le Mortelle, Antonori’s newest acquisition in the area. Although I don’t drink wine, I’ve visited a lot of wineries and find the different production methods and approaches to be very interesting. 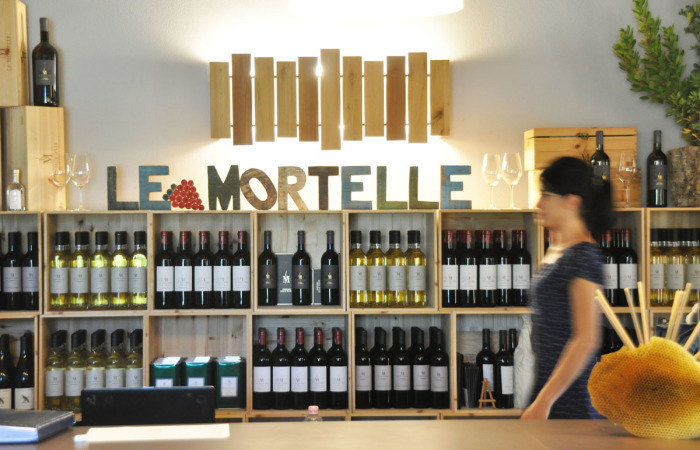 Le Mortelle has particularly beautiful architecture in the cantina itself, as well as at the store and casual dining area that is open regularly to the public. During the summer they sell fresh fruit grown on 16 hectares of their property, while year-round you can get winery tours and tastings by appointment. 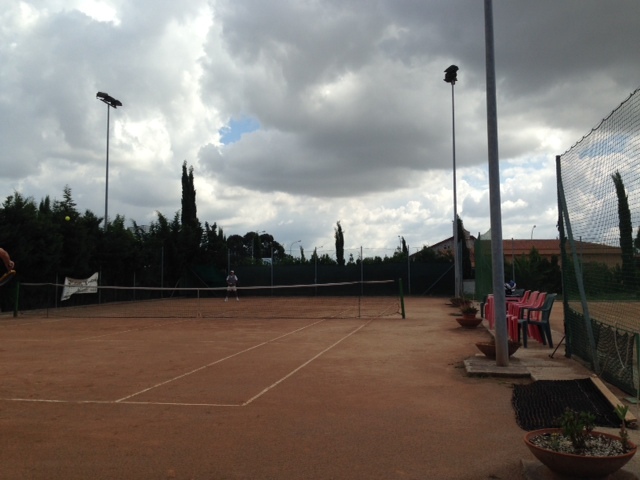 Tennis at Circolo Lello, Grosseto on an overcast day! Okay, I try to play tennis everywhere I go. Maremma has milder weather and less rain than much of Tuscany (except when it rains a lot – there’s been some bad flooding in recent years) and often the tennis courts are cheaper than in Florence. In Grosseto, I regularly to go Circolino Lello, a 2-court club located on the road towards Principina. Courts cost 5€ per hour and come with comments on your game from the molto simpatico owner, Lello. Further up the coast near Castiglione della Pescaia there’s a shady tennis club with annexed bar and fish restaurant (summer only) on the road to Le Rochette (Tennis club Roccamare). We were guests at Argentario Resort Golf & Spa, a 5 star property overlooking the lagoon of Orbetello. 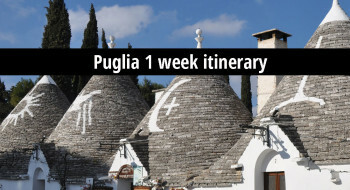 Its 73 rooms, mostly suites, have a modern design, as do the ample public spaces, in essential black and white, with some modern Maremma touches that add a sense of humour (like plastic pig tables and wooden “hunting trophies”). The views from the rooms or from the large terrace are fabulous – over the golf course, and out to the lagoon and mainland. The Dama Dama restaurant serves fish and meat menus in a warm ambiance – I particularly love the large wooden table that is its centerpiece. A 3-day weekend was a good amount of time to sample what the area has to offer – just enough to make me want to return as soon as possible.